The Stanford MOOC on Practice Based Research has required us this week, to tell our co-student ‘evaluators’, how we would want our projects to be evelauted. Just prior to our team leader Vanessa suggested we all submit short statements, I had written this long, over-written statement, in my typical over-wordy fashion. Synopsis: I am looking for constructive feedback in how best to maximize the functionality of my practice based project, which is, unlike many performance based projects, is actually an online museum. Practice Based Research (PBR), is understandably, an extremely diverse field of knowledge, whose boundaries intersect with every aspect of cultural activity. Some PBR projects are physical, or ‘active’ works, involving (but not limited to) performance, audience interaction, telematics and/or other live art and multidisciplinary activities. But some PBR projects are, by necessity, more passive, and involve research into ephemeral or archival materials, whose integration into the international discourse of mainstream contemporary art, is either overdue, or misrepresented. My project involves creating an ongoing online archive for a number of epistemologically-associated, as well as unrelated Los Angeles-based arts communities, who have often been excluded or under-represented in the first, and highly incomplete drafts of media art historiography. 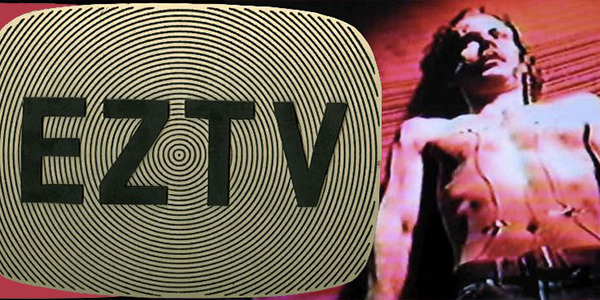 The project, called the EZTV and CyberSpace Gallery Online Museum ( www.eztvmuseum.com ) offers over 200 video clips, including some feature-length, as well as numerous archive photographs, posters, press reviews and other ephemera involved in the over 30 year history of EZTV and its associated art spaces. Digital Art, Feminist and Queer media, Performance Art and Experimental Dance, Music and Theater are key among the major genre nodes included in the online museum. Finally, the crucial impact which the AIDS Pandemic had, especially throughout the 1980’s and 1990’s, is presented, in ways which attempt to chronicle the work of a community of artists. Whose lives were cut short, leaving vast gaps in any representational discussion of recent art history. How is such a project Practice Based Research? This project is the culmination of over 30 years of art-making, curating, collecting and archiving. Through skills gained through this MOOC , as well as with research and collaboration with scholars, curators and other thinkers, I am putting into practice, a project, which is essentially academic in nature. This process, has allowed me to research the work of a number of artists, creatively related to me is some way, as well as put forward some of the highlights of my own work. Autoetnographic in nature, the site, understands the difficulty in presenting work, for which you have some perceivable vested interest. I do not claim objectivity, however I do claim that I can demonstrate factual evidence for all statements and histories presented. In evaluating the effectiveness of my project, as related to Practice Based Research, I would deeply appreciate feedback which speaks to the navigation of my online archive. The greatest problem in creating the site has been designing a way to separate the various art movements and genres into categories and sub-categories. I know that there are numerous problems with navigating the site, and input which gives constructive suggestions as to how to make the sections easier to understand would be extremely helpful. I am not as interested in critique of the artworks themselves, as I am presenting them more as what I call “art as anthropology” rather than as exemplary examples of late 20th century art. I would welcome, however, any suggestions relating to making more conceptual connections between the art movements which I am documenting, with more prevailing, academically accepted contiguous movements, such as feminist art, conceptualism or other brands or flavors of post-modernism. The greatest insights I would gain from any evaluation would be what, if any aspects of the archive were of interest to you, and what decidedly were not. As you must know 1,000x better than me, the history of EZTV, the participants, and the work, all powerfully anticipate so much of the art and culture of our contemporary moment. Perhaps there are “many” good times for a project like this, but it certainly feels like now is very, very fitting. I’m excited to see the project unfold! Thank you for taking the time, not just to read my post, but to comment on it as well. I really appreciate the positive support you have given this project, and your proactive stance on sharing it with others. P.S. also thanks for adding the photo- great choice!